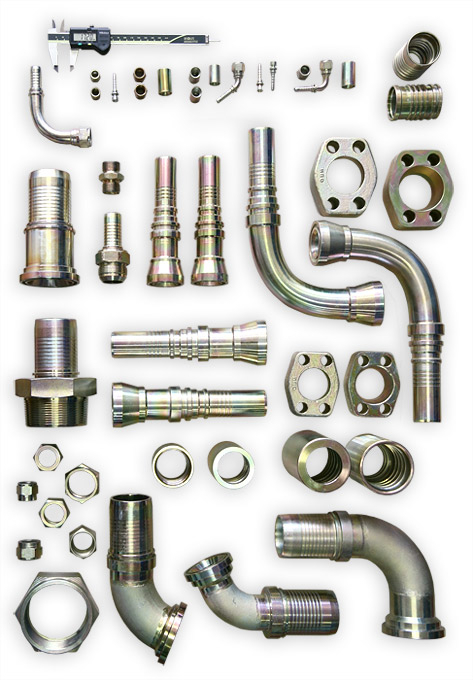 The company produces a wide range of hose-end connectors and flexible hydraulic and pneumatic hoses, designed for equipment used in ore-dressing and road-building, land and water transportation, machine-building, agricultural machinery, machine units, etc. 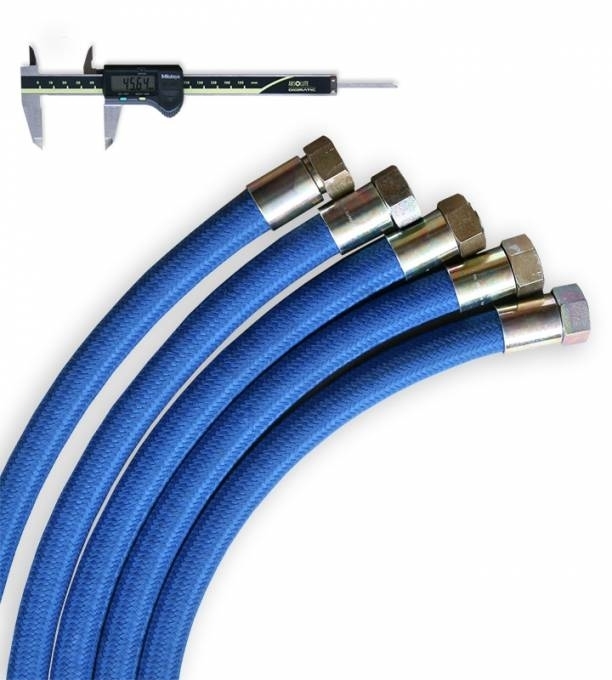 The operational pressure reaches 380 bar and the temperature ranges from -40 C to +240 C in accordance with the type and diameter of the hoseand its function. 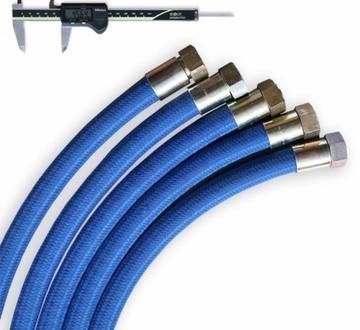 Conventional hose diameters – from DN5 (3/16’’ or 5mm) to DN60 (2 3/8’’ or 60.3mm). Operational fluid – fuel, oil, cooling liquid, air and technical gases, etc. Perfectly equipped workshop for equipment completion of flexible hydraulic and pneumatic hoses (FHPH). Design and development of documentation for production of different combinations for FHPH implementation. Varied technical and production experience. Qualified and perfectly trained personnel. Implemented operational system for quality management ISO9001. Rubber hoses with textile braiding, types 1 TE, 2TE, 3TE in compliance with DIN20021. Rubber hoses with steel braiding, types 1 ST, 1SN, 2ST, 2SN in compliance with DIN20022 and SAE100R1A. Rubber hoses with steel spiral braiding, types 4SP, 4SN in compliance with DIN20023 and SAE100R9R and types 6SH. 6SP in compliance with SAE100R12.